The Supreme Court today decided a major insider trading case, Salman v. United States, 15-628. In Salman, the Supreme Court reaffirmed its prior ruling in Dirks v. SEC and held that a jury could infer that a tipper personally benefited from making a gift of confidential information to a trading relative. 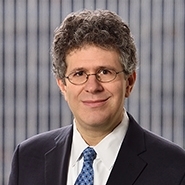 Although this appeal arose out of the Ninth Circuit (in an opinion by Judge Jed S. Rakoff of SDNY, who was sitting by designation), the Supreme Court overruled in part the Second Circuit’s notable insider trading decision in United States v. Newman, which the Salman Court held was partly inconsistent with Dirks. Our prior coverage of Newman can be found here and here.